Metro is expanding options offered to riders for monthly passes. The new options could save some commuters more than $30 a month. WASHINGTON — Regular Metro commuters can save more than $30 a month in some cases with new monthly passes, but riders who want to take full advantage in September must buy the passes early this week. 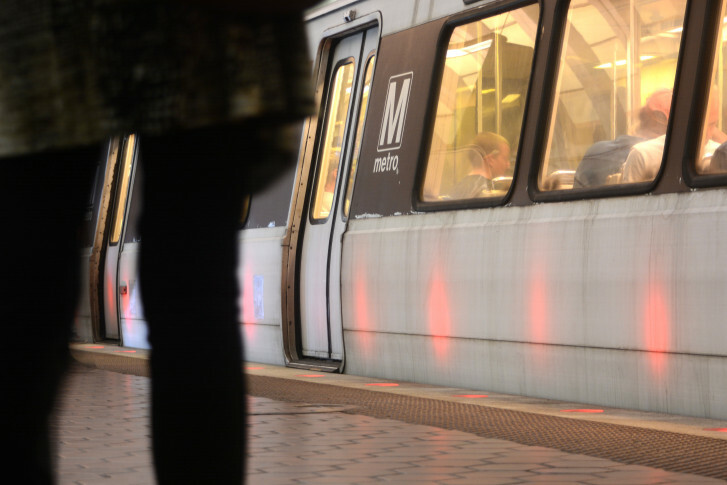 Metro is expanding a pilot program for the monthly passes that had previously been targeted at a smaller segment of riders to now include unlimited rides at more price points — including for riders who typically pay the maximum rush-hour fare of $5.90 each way. “Those are people who might be using our 28-day pass right now, and for those customers, being able to now get a SelectPass, where you’re paying for 18 round trips and then you get unlimited rides per month, it’s a huge savings for them,” Metro spokesperson Sherri Ly said. In September, for example, there are 21 non-holiday weekdays, so a commuter who rides at rush hour each work day from Shady Grove or Wiehle-Reston East to downtown would save $35.40 on commuting with the $212.40 pass — and would also get all other Metro rides in the month for free for any stops along the way or weekend or evening trips. The cheaper passes provide unlimited rides that cost up to the designated usual trip cost. Riders who take a trip that is more expensive pay only the difference between the covered fare and the usual charge. For example, if a commuter with a pass that cover rides up to $3.25 took a trip that cost $3.60, he or she would only be charged 35 cents. Riders considering the passes each month also need to consider the impact of 24/7 track work that would lead them to avoid their usual rail trip over the coming month. In September, that work includes a disruption at Franconia-Springfield through Sept. 11, and six weeks of Orange Line work beginning Sept. 15 between Vienna and West Falls Church. Metro has yet to announce what work zones will come next. From April to August, the monthly passes were offered at just two price points, one designed for commutes costing $2.25 and the other designed for trips costing $3.75. Those passes still saved other riders money, too, since riders with the passes only pay the difference between the fare covered by the passes and the usual cost of any more expensive trip, a potential savings riders whose commutes do not fit any of the available pass options to a T may want to consider too. Those two passes remain the only ones that have the option to add unlimited bus rides for the month for $45 more, which can provide a significant savings over a $17.50 weekly bus pass. The $2.25 pass saves a commuter who pays that fare round-trip each workday $13.50 in September, plus the additional savings from any other trips taken in the month. Metro is now offering nine price points, ranging from a total of $81 per month to $212.40 per month. Metro sold, on average, about 2,200 passes per month for use from April to August for a total of more than $1.2 million in sales, Ly said. Until the new passes became available, Metro’s main pass option was a 28-day pass that costs $237. Because of the way Metro’s fare systems and SmarTrip cards work, riders who want to buy the monthly passes, known as SelectPass, need to purchase them online several days before they plan to use them for the first time. Similar to money that is added to a SmartTrip card online, it can take up to three days for the pass to “appear” on the card. Riders who do not buy the pass until Tuesday or Wednesday may not get the benefit of the savings on Thursday, Sept. 1. Riders with SmartBenefits who want to buy the passes in future months may need to contact their employer to reallocate the money to allow for the purchase of a pass as opposed to individual trips.